Despite the fact that they had vowed not to go near the site where work on the new Utah State Prison has begun, the two ecologists stop to stare as we drive by the heavy construction machinery. It's not the construction work itself that has caught the eye of Ella Sorensen, who oversees the nearby Gillmor Audobon Sanctuary. It's what Ann Neville, a regional director for The Nature Conservancy, has spotted in the foreground: a nest of burrowing owls. The nest itself is barely visible—it's just a bare patch of dirt between some scrubby bushes. But a few feet away, an adult owl is perched atop a tree, guarding its nest against the encroaching construction. "The prison people wanted me to go see what they were doing—the bird-friendly construction," Sorensen, pictured above, said earlier. "I will never go on that site. There is no way I can go onto this land that I love and see what they are doing. There is just no way." "It makes me sick," Neville agrees, watching the burrowing owls through her binoculars. The wetlands around them are largely dry, and have been for much of the season. Landscape managers have temporarily drained the area to try to starve out an invasive species of reed that has plagued the Great Salt Lake since the floods of the 1980s. But while the phragmites remain a major challenge for Utah's wetlands, Neville and Sorensen are bracing for an influx of perhaps the most invasive species on Earth: humans. According to Neville, humans began modifying the Great Salt Lake's wetlands almost as soon as they arrived on the scene, and very few of Utah's wetlands remain untouched. But due to the unique nature of the lake and its shoreline, remaining wetland areas don't always qualify for traditional protections against development. So Utahns continue to pave over them—with the potential destruction of tens of thousands of acres of habitat already slated for the next 20 to 30 years. If the development continues unabated, starvation could wipe out entire species of birds, Sorensen says. But it's not just the birds that are at risk—the Great Salt Lake's wetlands play an important role in the quality, and quantity, of water along the Wasatch Front. Water and wildlife advocates alike say it's time for Utah to draw a line in the sand and stop future development in the state's wetlands. But getting the public on board has proven difficult. Despite a plethora of outreach programs, Neville says, many Utahns remain entirely unaware that the wetlands exist. Immediately south of the prison site, signs advertising Utah's planned inland port already have sprung up—prompting more disgust from Neville and Sorensen. Opposition from environmental groups, and from Salt Lake City officials, prompted the Utah Legislature to expand protections for wetlands in the city's Northwest Quadrant during a special session in July. But, according to Derek Miller, the newly appointed chairman of the Inland Port Authority Board, it's too early to say for sure whether wetlands exist in areas still slated for development. The current protections, Miller says, are based on Salt Lake City's original master plan for the Northwest Quadrant—but that plan, according to Utah ecologists, doesn't capture all of the area's known wetland habitat. About 30 percent of the Salt Lake City plan overlaps with 4,500 acres of known wetlands, says Aubin Douglas, a graduate student at Utah State University who is working to quantify the impact of urbanization on Utah's wetlands. Because of the rezone, she says, it's difficult to say for sure how much habitat will be lost during the construction of the inland port. But she described her projection of 4,500 acres as a likely "best-case scenario in terms of habitat that could be lost." It's not just development in the Northwest Quadrant that threatens Utah's wetlands. The West Davis Corridor—a new highway to be built through Clinton, West Point, Syracuse, Layton and Farmington—could eliminate another 2,000 acres of wetlands. General urban development, as planned according to the Wasatch Choice for 2040 Vision, could result in another 9,000 acres lost. Altogether, Douglas says, the Farmington Bay area alone stands to lose between 11,000 and 15,000 acres of wetlands to development in the next few decades. By comparison, roughly 20,000 acres of private and protected wetlands are in that vicinity, according to Heidi Hoven, a wetland ecologist and assistant manager of Gillmor Sanctuary, which encompasses about 3,000 acres of protected habitat. The reality is that the majority of the Great Salt Lake's wetlands no longer function on their own, Hoven says. The lake's size has shrunk, disconnecting many wetlands from their natural water source. And humans have been draining wetlands to build irrigation canals since the arrival of the pioneers. Thousands of acres of protected wetlands in Farmington Bay were actually conceived by Utah ecologists, Hoven says. The Gillmor Sanctuary, as well as the Inland Sea Shorelands Preserve, which is managed by Kennecott, both are "natural" in the sense that the Jordan River once fed thousands of acres of wetlands in those areas. The river shifted upward some 2,600 years ago, but the lowland areas it carved remained, and conservationists now use water owned by The Church of Jesus Christ of Latter-day Saints and other parties to create "managed" wetland habitat to replace natural areas lost to development. The problem with these managed wetlands is that they largely represent only one kind of wetland habitat, Hoven says. Most of these protected and private wetlands are managed for ducks and other waterfowl, which like deep, fresh water. But the Great Salt Lake once featured vast swaths of brackish landscapes covered with shallow, salty pools that evaporated to form dry salt pans or playas in the summer. These ephemeral wetlands provide critical habitat for millions of shorebirds such as the white-faced ibis, the species whose habitat is most threatened by development in the Northwest Quadrant and elsewhere in Davis and Salt Lake counties, according to Hoven. To maintain the health of the entire Great Salt Lake ecosystem, Hoven says, Utah needs a "wetland matrix" that includes saline meadows and mud flats as well as freshwater marshes. Outside the Gillmor and Inland Sea preserves, Utah's ephemeral wetlands are among the habitats most at risk. Because they aren't wet year-round, Neville said, they aren't always recognized as wetlands and, consequently, aren't protected from development. "It's not the obvious wetlands that are not preserved," Sorensen agrees. "It's all this stuff that is wet part of the time—all of Foxboro [a housing development in North Salt Lake] was built on, it was playas." To make matters more difficult, according to a study published last year in the journal Nature, the Great Salt Lake itself has shrunk to nearly half its natural size. This has caused pockets of wetlands to become disconnected from natural waterways. 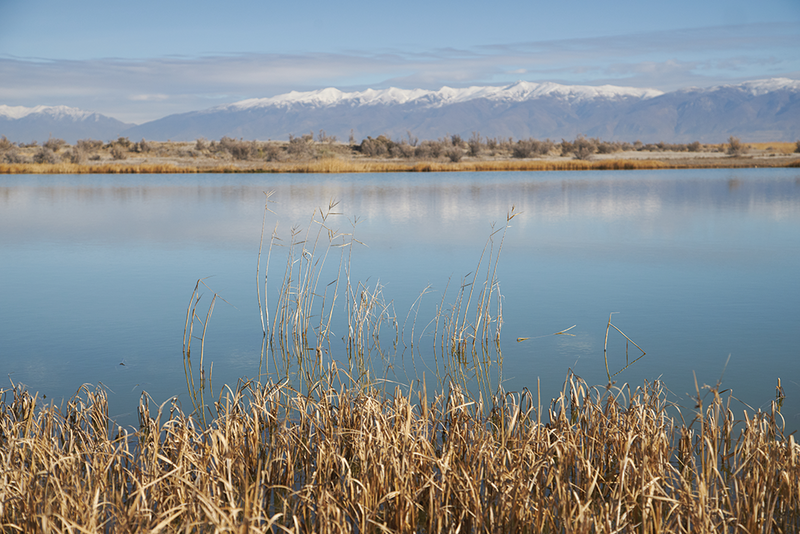 Like ephemeral wetlands, these "stranded" wetlands are typically overlooked when it comes to habitat protection, Leland Myers, executive director of the Wasatch Front Water Quality Council, says. If you're going to protect stranded wetlands for habitat purposes, Myers says, you also have to protect the upland areas between the wetlands and the lake. The millions of birds associated with the lake and its wetlands typically nest in drier upland areas, Sorensen says. The chicks can't fly when they hatch, but they know the safest place for them is open water, beyond the reach of predators. So they walk. Stranded and ephemeral wetlands provide a network for these chicks so they can reach the lake safely, Sorensen says. When pockets of wetlands are developed, it forces the chicks to walk farther to get to safety. "I've seen them walk across I-80," she says. Upland habitat is also critical when the Great Salt Lake enters a period of flooding, Neville said. In 2011, when much of the wetland areas were under water, birds had to nest farther upland—including on the current site of the inland port. "If the lake were to come up," Sorensen says, "all these areas they are going to develop would be covered in birds' nests." This is why protections that single out wetland areas exclusively aren't effective on the Great Salt Lake, Hoven says. "The uplands provide an important part of that system. You can't just subtract out the wetlands and see that they function by themselves." But upland areas, Sorensen notes, especially those "further away from the lake are gone, or fast being built on—just like the port." As habitats become increasingly concentrated in a few key areas because of the loss of these "spillover sites," Douglas says, competition between species—and even within species—increases. Several different species are already increasingly dependent on Great Salt Lake wetlands for habitat, Sorensen said. The lake was once a part of a network of similar, but small, saline lakes scattered throughout the western U.S. where migrating birds could stop off to refuel or nest. Many of these lakes, however, face similar challenges as the Great Salt Lake and are increasingly unfit as a habitat for birds, which has caused the number of birds that rely on the Great Salt Lake to increase. Even within the local ecosystem, urban sprawl has concentrated some species at a few key locations. "To see the majority of a world's population [of a certain bird] in one spot is amazing, but also scary," Sorensen said. One mishap and "you're going to wipe out a whole species." According to a report prepared for the Utah Division of Facilities Construction and Management, the Great Salt Lake might play host to three-fourths of all tundra swans in the Western Hemisphere at various points throughout the year. Similarly, more than half of North America's eared grebes stop by the Great Salt Lake, as do nearly a quarter of all of North America's white-faced ibis. A quarter of the world's entire snowy plover population relies on Great Salt Lake wetlands. The primary reason all these birds are attracted to wetlands? Food. Wetlands are full of microorganisms, Myers says, and those microorganisms feed swarms of hungry insects. The insects, in turn, become a food source for millions of birds that would otherwise have nothing to eat during their long seasonal journeys across the continents. It's not just birds, either. Farmington Bay wetlands provide a food source for hundreds of animals—diverse rodents and rabbits on one end of the food chain; coyotes on the other. A herd of Pronghorn currently lives on the inland port and prison sites. When those upland habitats are gone, Neville says, it's not clear what will happen to them. Humans, too, have used the wetlands as a source of food. Edible plants such as pickleweed grow there in abundance, and when pioneer settlers first arrived in the valley, Neville says, they harvested ducks and eggs from the wetlands. In fact, that's one of the reasons why there are so few natural wetland areas left, Neville says—plentiful water and food attracted humans, just as it does the birds. Few, if any, Utahns today subsist on a diet of duck and pickleweed, but the wetlands still play important roles in modern societies. Although early settlers were quick to drain wetlands in favor of using canals to manage the flow of water, wetlands are nature's means of controlling where water flows, Hoven says. Wetlands provide a barrier between open waterways and flood-prone lowlands, and they help to reduce the danger of the flash flooding that can occur when water is forced into channels. But even more important, Hoven says, wetlands are critical to groundwater recharge. The soils beneath a wetland typically are made up of fine silts and clays, which don't allow water to seep through as quickly. A channeled waterway directs water toward an eventual endpoint, such as a lake or ocean, where it eventually evaporates. But water backs up within wetlands, allowing the water to soak into the ground, providing a source for springs and wells upslope. Wetlands, Hoven says, "act like a sponge. You need them to retain water ... if you don't have a wetland at the bottom of that system, you're not going to be able to recharge or retain groundwater storage upslope of the wetlands. Few people pay attention to wetlands' ability to promote groundwater recharge, Hoven said, despite its importance, especially in areas where planners are looking for additional water resources they can tap. Hoven is reluctant to speculate about the degree to which drinking-water supplies throughout the Wasatch Front rely on wetland-promoted recharge—that's a job for the water system modelers, she says. 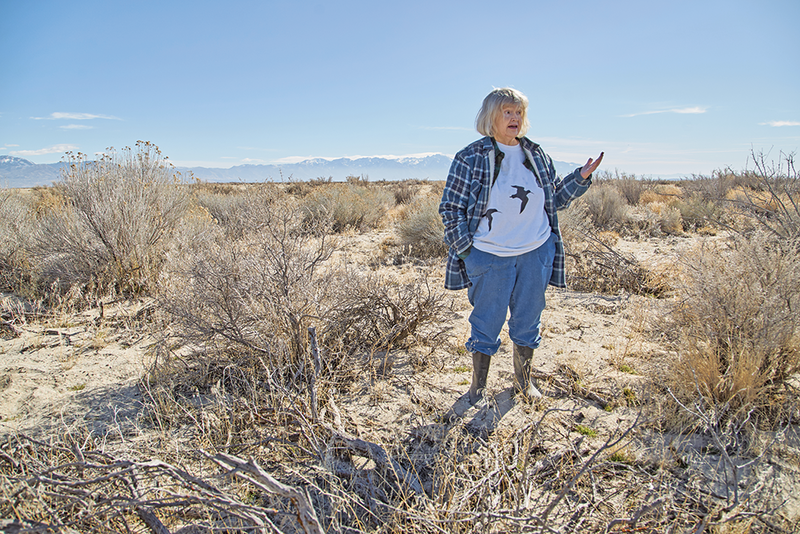 But one could formulate some theories, she says, based on the reality that large portions of Northern Utah's drinking water originate upslope of the Great Salt Lake. The Great Salt Lake isn't just responsible—on multiple fronts—for generating water used along the Wasatch Front. It's also the main catchment basin for nearly everything Northern Utahns dispose of as liquid waste. Nearly three-fourths of all wastewater generated in Utah ends up, eventually, in the Great Salt Lake. That includes household sewage, which is treated before being released into the natural system, as well as treated industrial wastes. Storm water—which can contain oils and other wastes associated with vehicles and industry, also eventually flows there. Even water involved in current environmental cleanup projects sooner or later ends up in the Great Salt Lake, according to Myers. One current project involves remediating groundwater contamination associated with past mining operations in the area. Even after the cleanup process, a portion of the water remains unusable—so it's discharged into the Great Salt Lake. The main reason why the lake isn't a complete cesspool, Neville says, is because the wetlands surrounding it have so far done a fairly good job of sequestering the massive quantities of pollution humans have sent its way—though, she admits, it's difficult to compare the current health of the wetlands to its condition before the days of the pioneers. Wetlands are nature's water filters. But for the most part, Hoven says, they break down and assimilate pollutants into their own systems. They can't make most pollutants disappear, which means that when wetlands dry up or are developed, they can release contaminants back into the environment. There is, however, an exception to this rule with respect to one specific category of pollutants: nutrients such as nitrogen and phosphorus. The microorganisms that are naturally abundant within wetlands consume these nutrients as food—the presence of nutrients, which accumulate in the form of leaf litter and other debris in low-lying areas is the main reason why the microorganisms are there to begin with. When there are too many nutrients in a water system, perhaps because of runoff containing fertilizers, or high levels of nutrients within treated wastewater, certain kinds of algae can multiply to the point that the algae themselves begin to produce potentially deadly toxins in order to compete with one another. The presence of healthy, natural wetlands can help to reduce the frequency and severity of the toxic algal blooms because the naturally-occurring algae help keep nutrient levels low. Take Provo Bay, a wetland south of the Great Salt Lake on Utah Lake, which has become known for its severe, recurring algal blooms. Discharge from the Provo City wastewater treatment plant, which tends to be very high in nutrients, is released into a small stream just above Provo Bay, Myers says. By the time it exits the bay and enters the body of Utah Lake, most of those nutrients are gone. While the Great Salt Lake has thus far proven too salty to experience harmful algal blooms, some of its less-saline bays have not been spared. Farmington Bay, itself the discharge point for wastewater from Davis and Salt Lake counties, has experienced blooms that have become far more toxic than anything recorded on Utah Lake, according to Myers, who has overseen research on the algal blooms in the bay. 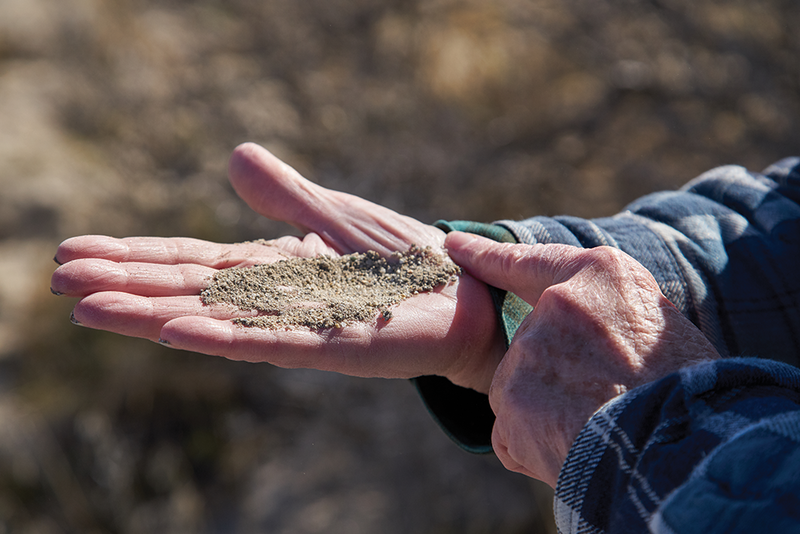 Between the loss of wetlands and the ongoing population growth that is driving nutrient pollution on the Wasatch Front, Myers fears Great Salt Lake's ecosystem might be approaching a tipping point. Over the decades, untold quantities of pollution has been dumped into the lake. Wastewater has been discharged to it since the valley was settled, and even basic sewage treatment didn't begin in Utah until the 1950s. Eventually, Myers says, someone is going to add the last teaspoon of pollution that the system can handle. When that day comes, he says, the entire Great Salt Lake ecosystem will change—permanently. Nobody knows where the tipping point is, Myers says, but it's coming, and it's why Utah can't afford to lose any more of its wetlands. "We don't want to see any more encroachment to the west," he says. "There needs to be a line in the sand: where there are wetlands, don't encroach; if you're not built there, don't build." Douglas came to a similar conclusion in her recent master's degree thesis: New housing developments along the Wasatch Front need to increase in density, thereby reducing urban sprawl which impacts wetlands on the west side of the valley. But Neville is increasingly pessimistic about the odds of convincing Utah residents to rally behind the Great Salt Lake's wetlands. Despite the importance of this habitat to the entire Western Hemisphere, and despite the fact that it's approaching a precipitous point, she says state leaders all seem to be stuck with a mantra of "grow, grow, grow." For all of Utah's love for the great outdoors, Neville adds, state officials and residents don't seem to value or appreciate wetlands. They're drawn to flashier landscapes in pursuit of instant gratification. But the beauty of the wetlands is more subtle. "If they're not instantly wowed, it's not valued," she said. Despite ongoing outreach efforts by the Audubon Society, The Nature Conservancy, Friends of Great Salt Lake, the Great Salt Lake Institute and others, when Neville takes locals out to the wetlands, it's usually the first time they've ever encountered the landscape. Attempts to promote the Great Salt Lake as a tourist destination have proven a hard sell, and the few successful promotions have nearly backfired. "As soon as you think you're getting someplace," Neville says, "someone starts talking about a trail ... it's hard to put in a trail when everything out here nests on the ground, and as soon as you go off the tail, you've messed it up." What Neville wants to impress upon Utahns is the wetlands' intrinsic value. The value of a clear view of the sunset over the Great Salt Lake. The value of dozens of species of birds. The value of a sense of place and history. Like the wetlands themselves, once any of these things are gone, humans won't be able to bring it back. "We're playing God here," Neville says, "and we don't have His capacity."